Looking for Homeowners Insurance in Asheville? The Juengel Agency is one of the best resources for homeowners insurance in Asheville, NC. Homeowners insurance covers your most valuable asset. For many people it represents one of the largest purchases they will make. Your home is your castle, so why would you take insurance on it without letting a local agent listen to your needs and offer recommendations that you understand? Our agency will review all coverage and options allowing you to have the best information needed to make a decision in your best interest. We use several of the highest rated insurance carriers in North Carolina so that we can shop the best option for you without you having to do the leg work. When considering the insurance for your home, remember that you get what you pay for and cheaper isn’t always better. Don’t let a good deal become a major disaster. Because we are an independent insurance agency, we have the flexibility to shop different companies on your behalf. This means that we don’t represent the interest of an insurance company, we represent the interest of our client’s. Call or stop by and let us offer you a quote. We also specialize in helping First Time Home Buyers in Asheville. Buying a home can be very stressful but having the right realtor, lender and insurance agent can make things much smoother.  Our aim is to educate you on the coverage and endorsements that are critical to protect your home. We focus on being your advocate and making sure your interests are placed first and foremost. If you have questions about your current policy or are looking to obtain new homeowners insurance Asheville NC, please call or stop by.